No matter what it’s for choosing a secure password is more important now than ever. Recently even large companies like Sony and Nintendo have been hacked into. 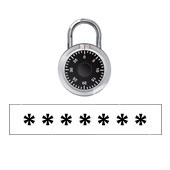 Here are 3 tips to help you choose a secure password that’s easy to remember. The way many hackers get into your email account is through what’s called a brute force attack. A brute force attack is when a computer program tries random combinations of different words together over and over until it guesses your password. Because of the nature of this attack choosing words that aren’t in the dictionary and adding numbers is a good way to limit it’s effectiveness. Some use unorthodox names strung together while others use numbers in place of letters such as “3” for “E.” These are both effective methods so long as your able to remember what it you chose to do. 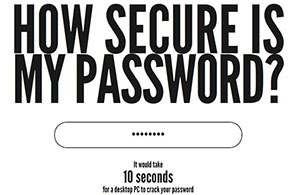 A secure password isn’t much good if you can’t remember it. Most passwords are case sensitive, because of this creating a capitalization pattern only you know can go a long way to keep your password secure. For example, if my password was jackysmith and my capitalization pattern was upper case, lower case, lower case, upper case, then my password would be JacKysMitH, which is almost impossible to guess. Keeping the same capitalization pattern across all your passwords is a good way to make secure passwords that are easy to remember. It’s just important that you never let that pattern slip or you may have to change all of your passwords. If you decide to use numbers at the end of your password its probably best not to use common numbers associated with you like you address or birthday. One way to get around this and still have a password you can easily remember is to double up on numbers. Let’s say for example, that the last 4 digits of your social are 4567 and you want to use those numbers on the end of your password. Using 44556677 is one way to make it much harder to guess while still using a number you have memorized. This guest post is contributed by Maria Rainier, who is a freelance writer and blog junkie. She is currently a resident blogger at First in Education where recently she’s written on mechanical engineering technician jobs along with a piece on online electric engineering programs. In her spare time, she enjoys yoga, playing piano, and working with origami.